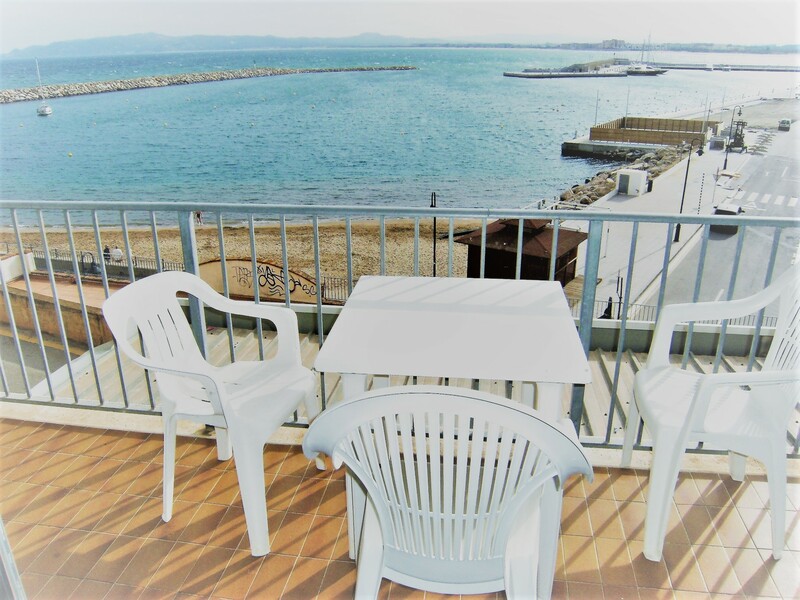 The Nautic Apartments are located on the seafront overlooking the Marina with lovely renovated apartments with stunning views over the Estartit and its coastline. There are a mix of studios, 1, 2 and 3 bedroom rentals perfect for holiday rental just 25 metres from a small beach and 300 metres along the promenade to the main beach. In a great location it is a very short walk to a selection of frontline restaurants and cafes. The Nautic has its own communal swimming pool located on the roof with amazing panoramic views. Wifi available (please ask for details). These renovated studio apartments are ideal for couples looking for holiday accommodation in a great location on the seafront in Estartit, just a couple of minutes walk from restaurants and bars. It has a kitchenette, lounge area with fold out sofa bed, bathroom and balcony with stunning views over the Marina and Medes Isles. These renovated apartments are in a great location on the seafront in Estartit, just a couple of minutes walk from restaurants and bars. It has a fitted kitchen, lounge / dining area and balcony with stunning views over the Marina and Medes Isles. 1 bedroom and 1 bathroom. There is a communal pool on the roof top with panoramic views of Estartit and a great value restaurant on the first floor of the building. These renovated apartments have 2 bedroom and 1 bathroom. It has a fitted kitchen, lounge / dining area and balcony with stunning views over the Marina and Medes Isles. There is a communal pool on the roof top with panoramic views of Estartit and a great value restaurant on the first floor of the building. This apartment has 1 double bedroom, 2 bedroom with bunk beds and a sofa bed in the lounge. Fitted kitchen. The apartment has a washing machine. The lounge has TV and doors to the terrace with views of the marina. There is 1 bathroom. Wifi is available. There is a communal pool on the roof top with panoramic views of Estartit and a great value restaurant on the first floor of the building. Just a short walk from restaurants and bars. This renovated apartment has three bedrooms and one bathroom. It has a fitted kitchen, lounge / dining area and balcony with stunning views over the Marina and Medes Isles. There is a communal pool on the roof top with panoramic views of Estartit and a great value restaurant on the first floor of the building.